On March 19, 2019 MBDA held a press conference in gorgeous building of the National Army Circle (le Cercle National des Armées) in the centre of Paris, France. 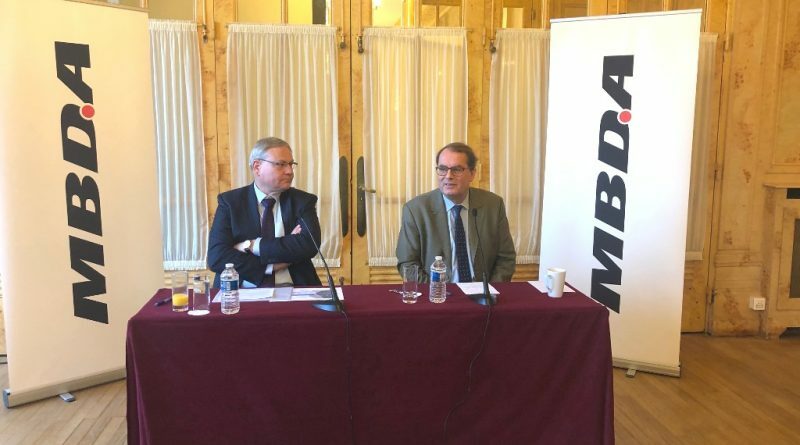 Antoine Bouvier, CEO of MBDA, and Dominique Fillard, the company FCO, presented to the journalist wih the key events of the company in 2018 and the latest news and perspectives for 2019. Last year was very profitable for MBDA, with € 4 billion of additional orders (€2.5 billion from the domestic market and € 1.5 billion from export), while the revenue grew to €3.2 billion in 2018, all this against a stagnant market and an increased competition with the United States. 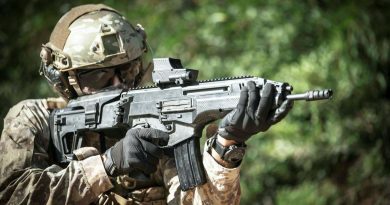 January: on behalf of France, Italy and the United Kingdom governments, OCCAR (the Organisation for Joint Armament Cooperation) notified the New In-Service Support (N-ISS) contract with the Eurosam Franco-Italian consortium, which is co-owned by MBDA and Thales. It replaces the first ISS contract that has been in place since July 2012. The N-ISS contract – which runs for five years from 2 January 2018 – will include in-service support for French and Italian land and naval systems (SAAM-Fr, SAAM-It, PAAMS and SAMP/T) as well as all ASTER missiles (ASTER 15, ASTER 30 and ASTER 30 Block 1) from France, Italy and the United Kingdom. December: the Sea Venom/ANL anti-ship missile made its third and final development firing; Project Centurion (introduction of Meteor, Brimstone and Storm Shadow) was completed on RAF Typhoons. Among the most important orders of 2018 that would be brought into 2019 were the aforementioned development of the MICA NG, the renewal of the Aster missile service support for France, Italy and the UK, moderation and support of the cruise missile Taurus for Spain. The most important export contracts include Qatar’s for the armament of Eurofighter Typhoon combat aircraft and NH90helicopters, as well as new missile acquisitions of Taurus, MMP and Mistral. “It is very important to have the right combination of national programmes and European cooperation programmes,” Antoine Bouvier said, “because without this balance the European defense will no longer be able to maintain the critical size of its technological and industrial base, which is necessary for autonomously developing those technologies which are key to the operational performance of our armies”. An example is the The EU BLOS project aimed at developing a family of BLOS missiles with back image and man in the loop capabilities. Based on the MMP missile system, this family of products will be fully mastered by the European industry, which provides full autonomy of use, security of supply and future evolutions, to the benefit of the 25 PESCO Permanent Structured Cooperation member nations. During the press conference MBDA underlined that notwithstanding the Brexit, the cooperation with the UK remains excellent and that the issue does not affect MBDA UK, although in the future its revenues in the defence domain might be reduced, should the British economy be hit by the country’s exit from the European Union. Antoine Bouvier also underlined that he is very happy of the European cooperation initiatives, noting that even the European Defence commission has not many resources, it makes a considerable effort towards the States and that it is doing an increasing work in the military cooperation domain.